I never edged my lawn when I lived in Massachusetts. It just wasn’t a big practice there. Lawns ran to the street where I grew up on a street without sidewalks and many neighbors had yards that just ran one into the other without fences or boundaries. There were nicely edged and manicured properties, both public and private, residences, and business. 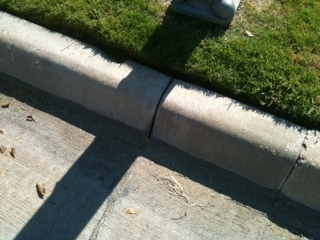 Edging just wasn’t common practice in residential neighborhoods where I grew up or where I lived as an adult back east. 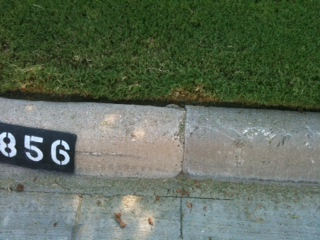 Here in Texas edging is prevalent. Every suburban lawn is neatly edged and each homeowner, business owner and public property not only has a neatly edged and trimmed lawn, but seems to measure the gaps between the grass and the paved or cement boundaries. Having grass overgrow the sidewalks or roadway is a sign of, well, I haven’t asked what it’s a sign of, but it’s certainly against the norm, so I have adopted the practice of edging. I have also had to pay close attention to edging in ministry. I’ve noticed, while edging, that picking up on the proper edging boundaries is a central task of ministry and it truly is an art form. It is such an art that I will most likely be practicing long after I have given up sculpting a lawn. Ministry requires the setting of clear and healthy boundaries, yet it also requires getting to know people intimately. One of the edging tasks I’ve found most difficult in navigating this edge is not taking things personally. When I first began my ministry I took every single little very personally. “How could you possibly not love me, I am here to serve you?” I have only through hard experience internalized the lesson that ministry is not about me. It was a tough road for me. I serve better now, but by no means do I have edging down. I found training in spiritual direction to be particularly helpful. The closer I got to God and the more I practice listening for the movement of the spirit in myself and others, the easier it has become to not take things personally and still remain very invested in the journeys of those I serve. As the edge between me and God closes, the easier it is to maintain a healthy edge between myself and others. 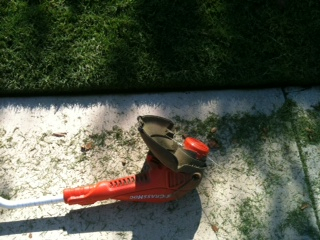 I doubt I will ever feel like a master landscaper, but I know my edges are better now than when I began.